Marina, ‘the gypsy scholar’, a writer and academic, and her psychoanalyst husband, Jacob, were each born on a kibbutz in Israel. They meet years later at a university in California, Marina a grad student and Jacob a successful practitioner and teacher who has a young son, Ben, from a disastrous marriage. The family moves to a brownstone in Harlem, formerly a shelter run by elderly nuns. Outside the house one day Marina encounters Constance, a young refugee from Rwanda, and her toddler, Gabriel. Unmoored and devastated, Constance and Gabriel quickly come to depend on Marina; and her bond with Gabriel intensifies. When out of the blue Marina learns some disturbing news about her mother, Gizela, she leaves New York in search of the loose ends of her life. As Christmas nears, her tight-knit, loving family, with Constance and Gabriel, join Marina in her mother’s former home, with a startling, life-changing consequence. Alice Nelson skilfully weaves together these shared stories of displacement and trauma into a beautifully told, hope-filled, outstanding novel. The Children’s House begins in the sweltering heat of summer in New York’s eclectic Harlem. The year is 1997, three years after the Rwandan genocide. Marina Hirsch, a young professor teaching at Columbia, has just moved into the neighbourhood with her psychoanalyst husband, Jacob, and stepson, Ben. It is here that Marina, by chance, witnesses Constance, a Rwandan refugee woman, leave her young child in the middle of the footpath. Rushing to the aid of the boy, Marina enters into a tentative, faltering relationship with Constance, and finds herself developing a deep attachment with the young boy. Alice Nelson’s articulately crafted novel is an exploration of family, of home, and of where our identity and selfhood lie. 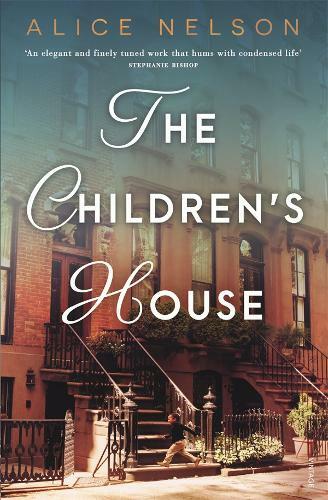 Weaving through all the characters in The Children’s House are stories of trauma, abandonment and grief: the loss of a father, or a brother, too young; the detachment of a mother’s love; or what it means to be displaced from one’s roots. Marina and Jacob were each born on a kibbutz in Israel, where the raising of a child was seen as a collective, communal affair rather than one between a child and their parents. However, Jacob soon returns to New York with his parents and sister, and Marina’s mother’s inability to offer love and warmth taints Marina’s life, and her brother’s, both on the kibbutz and after their migration to New York. This has deep implications for Marina, and devastating consequences for her brother. Jacob’s son, Ben, is also fractured after being abandoned by his mother at an early age after his parents’ disastrous marriage. Yet it is in this environment that Nelson eloquently, intricately points to the ways in which, despite, or perhaps as a result of displacement, trauma and loss, we find families, love and home in the most unlikely of places. The Children’s House is a beautiful, hope-filled novel about how we carve a place for ourselves in the world. Caitlin Cassidy works as a bookseller at Readings Carlton.